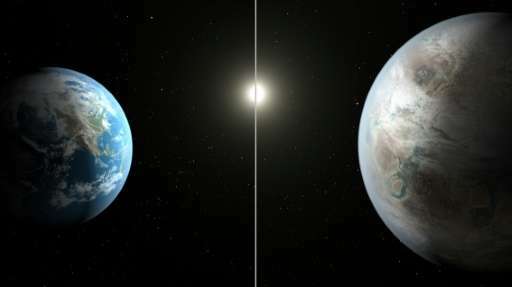 Not only is this planet squarely in the Goldilocks zone—where life could exist because it is neither too hot nor too cold to support liquid water—its star looks like an older cousin of our Sun, the US space agency said. 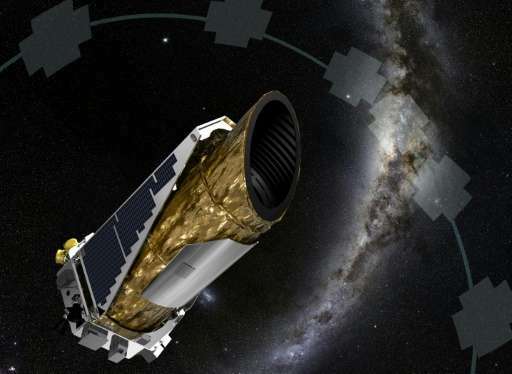 "Today, and thousands of discoveries later, astronomers are on the cusp of finding something people have dreamed about for thousands of years—another Earth," NASA said in a statement. Not so fast Kemo Sabay! It just may be a verry rainy place with lotsa water. See it is a bit larger than earth so could retain MORE water and hydrogen in its atmosphere for a longer time. Could be a bit steamy but quite possibly habitable. If so, it would remain so for a verrrry long time all things considered. Look, humans live for a hundred years if they are lucky and do not get run over by a bus or kicked in the head by a horse or some street thug doesnt render their guts for a quarter. This planet will be in good shape for millions of years yet. ALL planets have an 'expiration date', but like milk can be utilized before that time. Stellar luminosity formula says that a star of 1.04 solar masses should have a luminosity 16.5% greater than the Sun, not just 10% more....and that's assuming same relative age vs same relative age. This suggests the star is cooling with age, rather than warming with age as the standard stellar model claims. If L/L_sun = (M/M_sun)^a, what value did you use for "a", and why? Gravity =~ 1.6^3= 4.1+ so it is not fit for human habitation. ETA =~ 1400 x 4 = 5600 years travel time. Likelihood of life surviving travel time =~ 1%/century ^56 = 0. Why is this all significant? We need to take care of our Earth, no ifs ands or buts. Close, but no (certain) cigar. Density 10.4 g / cm3 means to that is formed of a lanthanide and transition elements, and of those with a large number of protons. Temperature -8 to +17 means to that the orbit 452b closer orbit of Mars, the star quickly rotates about an axis (2o days or faster) than the Sun as well as that planet orbiting a star faster than 30 km / sec. Geologically is active, but not as a Earth. Action of the volcano are rarely but significantly stronger. It is not for, expect a significant greenhouse effect (as on Venus), or an atmosphere similar to Earth's. Water should be present but in smaller quantities. Planet ideal for acquiring of wealth in mining. @Osiris: The NASA press conference mentioned that the larger mass of 452b gave it another 0-5 billion years of habitability under the circumstances. The problem is that it is 1.5 billion years older than Earth. Most analysts have put it in as a potential venus analog (after having been an earth analog). @job: Why is any of what you say significant? No one wants to move there, even less visit, it is much cheaper to do science from here. Looking for other life is not only a fascinating, long standing question, the results will help test the main theories of life emergence. And everything in science is interconnected, so if you want to make the most of the planet we have, you should support, not troll, this science! Seplling error: "another 0-5 billion years" = another 0.5 billion years. @wducks: Higher average density can come from higher core pressure with the same composition as Earth. It is a larger planet, you know. 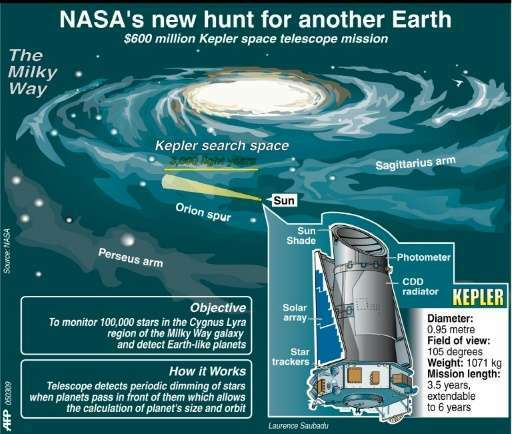 Since the Kepler team didn't release a composition model, we just don't know yet. Possibly (and I think the press conference claimed that, as seen from the press material), they can't tell. It is a confounded problem, since different compositions can give the same average density. I used 3.9 for "a" because that's what the formula says it should be. Well, now that's wrong. Actually, a person would feel about twice as heavy if we assume that Earth's density is equal to Kepler452b . Which it probably is not. If Kepler 452b's density is significantly less but it was still 1.6 times as large, gravity might actually be weaker there. That's possible. According to , "On average, KIC 8311864 [the host star] is slightly cooler, slightly larger, and about 60% more metal-rich than the Sun." They obtained an estimate for the mass of 1.07 (1.02 - 1.12) solar masses. So try 2.5% more massive and see what you get. You also missed this from the "main sequence" wiki link: "Once nuclear fusion of hydrogen becomes the dominant energy production process ... the brightness and surface temperature of stars typically increase with age." 1. 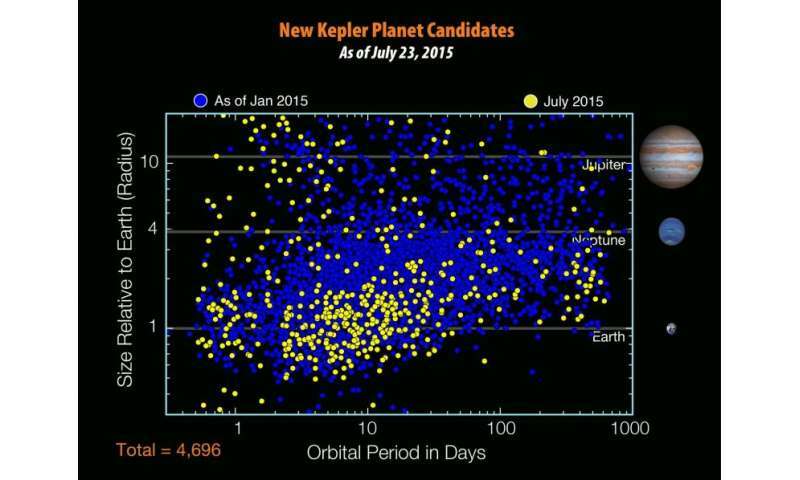 "DISCOVERY AND VALIDATION OF Kepler-452b: A 1.6-R_earth SUPEREARTH EXOPLANET IN THE HABITABLE ZONE OF A G2 STAR", Jenkins, et al.